Inventory Reduction Sale! 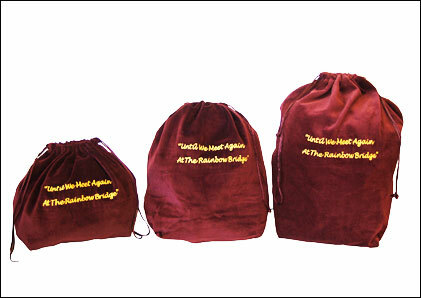 Medium and Large Burgundy Embroidery Urn Bags $2.00 a piece. 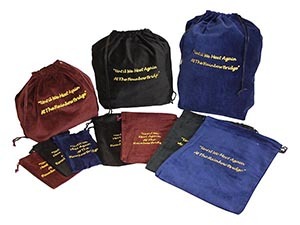 These beautifully made velvet cotton bags are designed to hold an urn (or any other product) and greatly enhance the perceived value of that item. These particular bags are "gusseted" which means they are essentially box-like in shape, having a defined length, width and height. 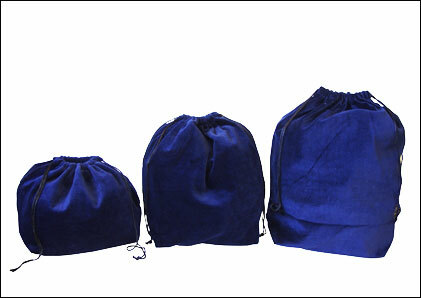 Gusseted bags are capable of holding larger items when compared to two-dimensional bags of a similar size. 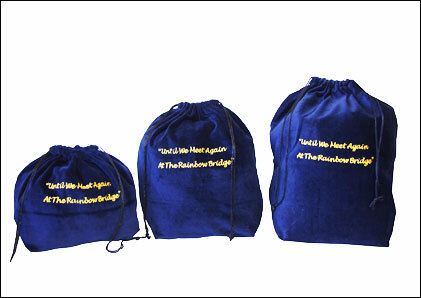 Each bag has "dual" drawstrings on the top for easy and attractive closure. 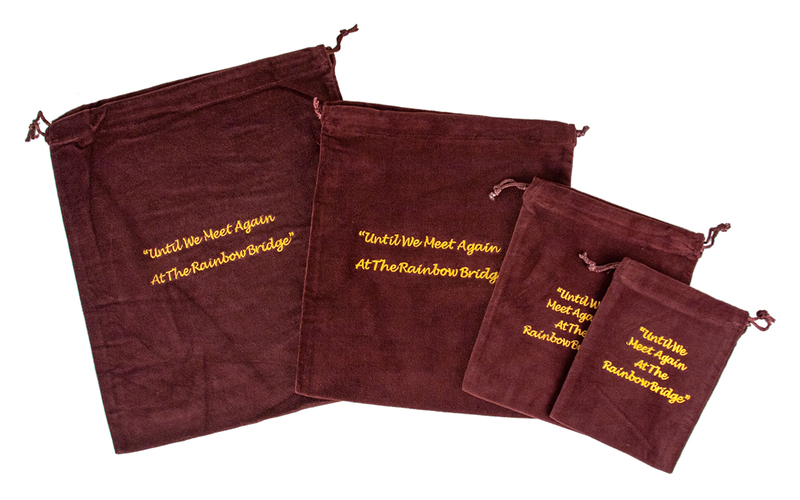 These bags are in stock and available for same-day shipping from St. Paul, Minnesota! 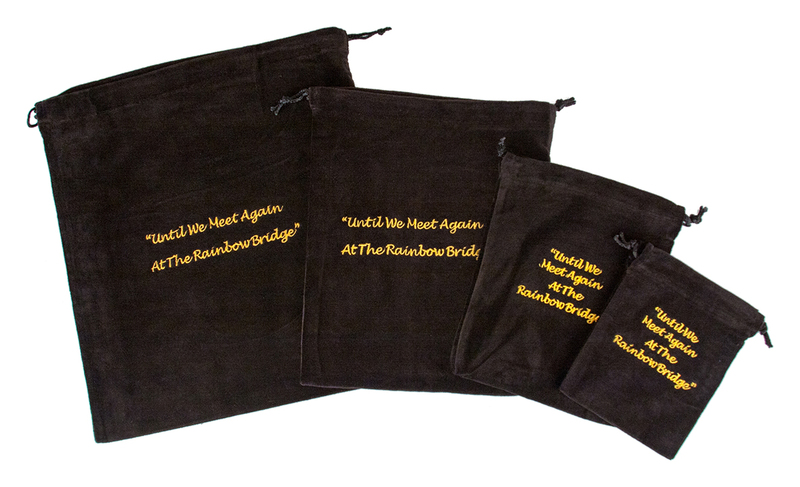 All Bags are sold in "Lots" or "Multiples" of (10) bags, so if a price states $27.50 you are actually paying $2.75 for each of (10) bags of the same color, style and embroidery type. 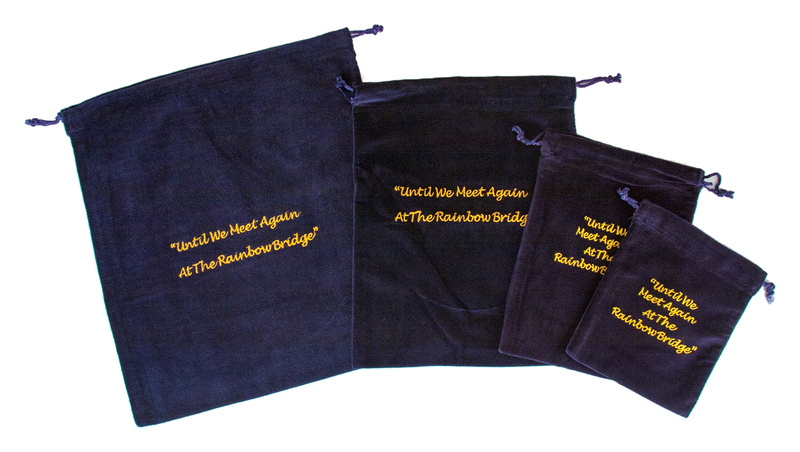 The embroidery reads "Until We Meet Again At The Rainbow Bridge"
*Approximate bag dimensions (Gusseted bags - LxWxH, Cremains bags - LxH). ** Approximate cubic inch capacity.